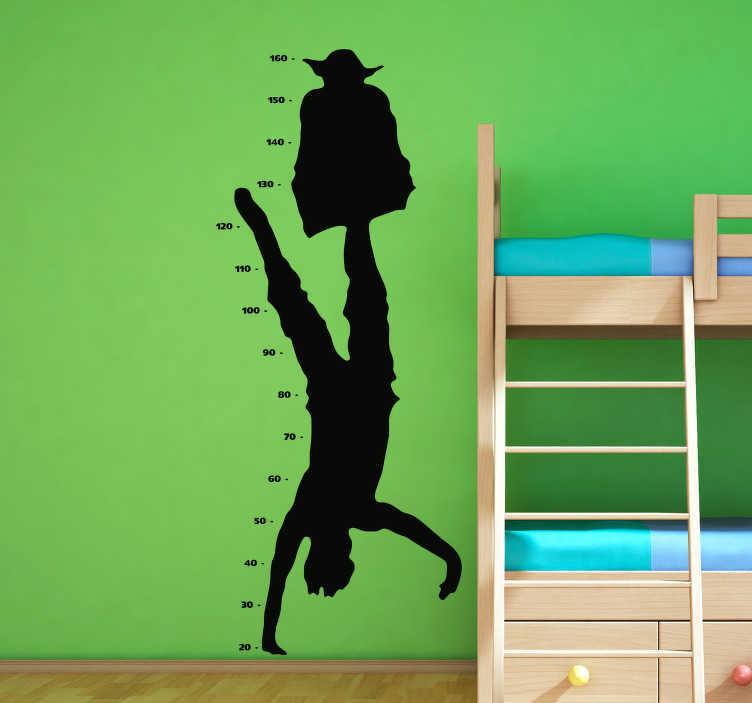 Decorate your home with this fantastic, Star Wars inspired, height chart wall sticker! Depicts the infamous character of Yoda perched comfortably on top of a man doing a fantastic handstand - Check your height to see if you are taller than Yoda and the man put together! Perfect height chart decor for those children who love Star Wars and wish to compare themselves to that! Actual height included so you don´t have to worry about any gimmicks - Yoda is as tall as Yoda really is!